When this week’s final Billboard Hot 200 album chart is released, either the 51st installment of the Now That’s What I Call Music! series or Awesome Mix Vol. 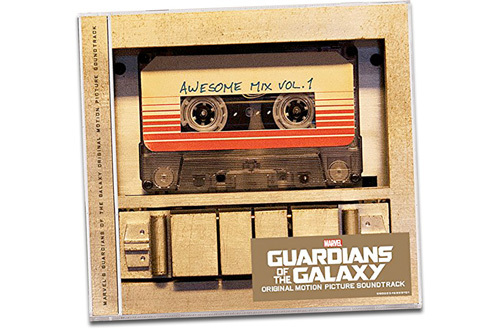 1, the soundtrack to Marvel’s Guardians of the Galaxy, will be the best-selling album in the United States. If Awesome Mix Vol. 1 makes it to the summit, it will be the first soundtrack from a summer film to reach No. 1 since Mamma Mia! in 2008, and the first for a non-musical since Bad Boys II in 2003. This would be a significant accomplishment with or without No. 1, particularly given the fact that the various songs that make up Awesome Mix Vol. 1 are readily available to stream on services like Spotify, or on YouTube. There is no single to drive sales of the album, as the film’s jukebox-style soundtrack relies entirely on songs from the 1970s. And while some Twitter conversation among colleagues made a connection back to K-tel—and we could think about Time Life as well—in regards to the album’s appeal to a nostalgia for music of this period, there’s also a wide audience of younger audiences who may not be familiar with some of the songs used in the film. But those audiences are often imagined as those who stream music on YouTube or Spotify, and who could simply create their own playlists featuring the songs from the film without needing to pay out for the album. Given this, the Guardians of the Galaxy soundtrack offers an interesting case study of how these platforms are being activated by labels like Hollywood Records, and how this jukebox soundtrack is being branded—if not “sold”—in spaces that won’t be counted by Billboard’s album chart.